I don't know about you, but time permitting, I can literally watch bees for hours, entranced by my favourite little insect helpers. A garden without the buzz, scurry, flutter, or song of wildlife, is in my view, seriously incomplete. There is a lot of information on this site, and I hope you'll enjoy taking a look at the resources. Here are my suggestions to help you to encourage bees to visit and thrive in your garden. 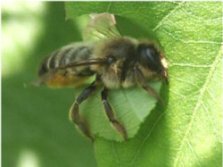 You may be specifically interested in how to attarct bees to your fruit and vegetables because you are keen to increase the chances of pollination and hence abundance of crop. If this is the case, it's a good idea to include flowers among the sowing. Some flowers will encourage beneficial pollinators as well as helpful 'pest' predators, such as hoverflies. On our allotment, I grow sweet peas among the runner beans. Nasturtiums are great when allowed to ramble in a border close to the corgettes, without competing with them. I also recommend phacelia below flowering fruits (check the flowering times of each). Always keep a few pots of flowering favourites, such as linaria and lamb's ear. Bees love these, and the pots can be moved around the garden and into target zones, where pollination is important. Allow some of your crops to flower if you can spare it, such as kale - the seeds of kale are also edible, so you can collect them afterwards. See my page about my favourite vegetables for feeding bees and humans! See my information page about growing tomatoes. 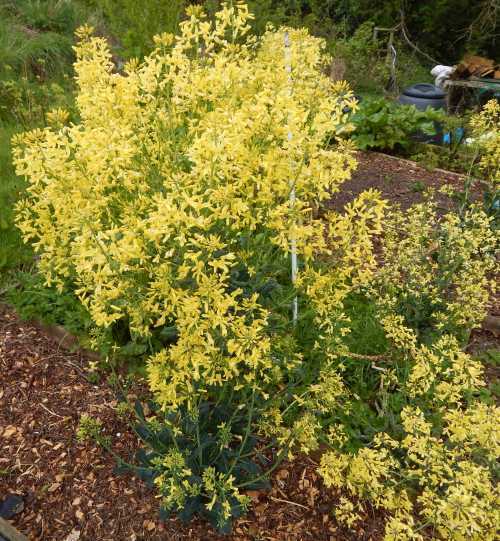 Above: A couple of kale plants were left to flower in our allotment - they were covered in grateful pollinators! 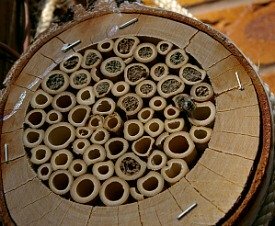 It is easy to provide a home for solitary bees, simply by tying a bundle of hollow garden canes together between 20 – 30 cm long, and hanging them in a sheltered spot. I have experimented with different lengths of canes as well as shop-bought bug houses - and all have been successful! You can watch mason bees using this bee house here. The above mason bee house is available from Amazon US and also from Amazon UK. Bumblebees can be more fussy. There is further information on my page about Bumblebee Nests, and more in my Bee Nests Q&A. Shop-bought bumblebee nest boxes have provided mixed results, with some being successful, whilst others have not, despite the expense. However, you could experiment with an upturned plant pot beneath the garden shed (supply some dried, chemical-free grass or hamster bedding), or even an old tea pot. You may also have success with a traditional bird nest box - if it is not inhabited by birds, of course! Please note, if you wish to create a home for bumblebees, I recommend you do not try to 'kidnap' a bumblebee in the hope of forcing it to remain in the nest. For one thing, if it is a queen, it may have begun a colony elsewhere, secondly - do you know for sure it is a queen, and not a worker or male - or even a cuckoo bumblebee, which must have the assistance of a host bumblebee species in order to thrive? I do not recommend that you buy boxes of bumblebees for your garden, even if they are native, simply because they may transmit diseases to wild bees. Read more here. Instead, I recommend you allow nature to take it's course. It may take a year or two for the nest to be inhabited - or if the site is not suitable, it might be that no bees nest in your bumblebee house. If this seems to be the case, there may be a chance of attracting bees to the nest box by moving it to an alternative spot, and increasing the number of pollen and nectar rich plants in your garden. Attracting honey bees depends mostly on whether there are beekeepers nearby. Wild honey bee colonies are relatively rare in many countries, but it is possible you could attract a swarm, which you may or may not be happy about! Honey bees naturally nest in the hollows of trunks or in caves. There are special seed mixes available to help you attract honey bees to your garden. Often the same flowers will benefit a range of pollinators. Flower structures, in terms of the arrangement and shapes of petals and flower heads are a consideration, but one that is easy to miss. 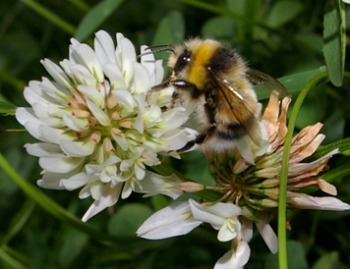 To find out more, see this feature about flower borders for bees. Don't be afraid to have several patches of the same plant type around your garden. I noticed that different parts of the garden encourage slightly different flowering patterns for the same plant species, and can thus prolong the availability of nectar and pollen for bees. For example, I have a patch of lamb's ear in the front garden - it flowers slightly sooner than the two patches of it that I have in my rear garden. Successional sowing is also a good idea, and plant in swathes. Fortunately, whatever your growing conditions, whether you have the ideal soil and weather patterns, or drought and shade, there are plants you can include that will help encourage a visit from bees and other pollinators - see Gardening For Bees In Problem Places. I seriously believe we need to re-think our views of wildflowers - often referred to as 'weeds'. Many wildflowers are great for attracting bees and other wildlife, are beautiful in their own right, and certainly worthy of a space in our gardens. They also greatly extend our choices for filling difficult spaces with plants that are often very cost effective to buy - or even free! See wildflowers for bees. 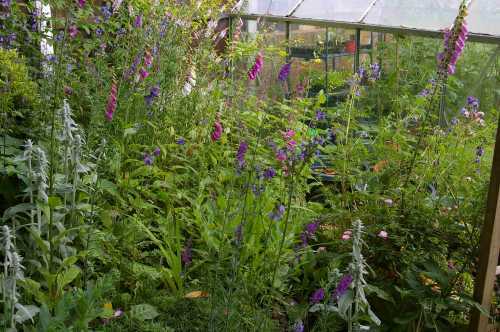 Below is a very small patch of garden behind our greenhouse. It contains a mixture of cottage garden plants and wildflowers, and is situated in dappled shade for at least part of the day. It attracts bees and other pollinators. For several comprehensive lists of plants, flowers, shrubs, fruit & veg, wildflowers, trees, lawns and plants for problem places, visit my link about Bee Plants. (opens new window). Bees don't see gardens as separate land entities. Your garden is part of a larger landscape from which bees and pollinators can search for food. This means seeing your garden as part of the whole, and adding to the (hopefully many!) possible feeding stations for bees in your local area. Even if you only have concrete or a balcony, consider pots and hanging baskets, and even window boxes. These can be filled with a range of trailing plants, herbs, bedding flowers attractive to bees and pollinators, such as low growing beeding campanula, beach aster and hardy geraniums. Imagine if the residents of a high rise apartment block featured hanging baskets filled with nectar and pollen rich plants - we'd have pollinator walls! Read more tips about gardening for bees in small spaces. Above: How to attract bees in small gardens: include a variety of flower shapes and a few wildflowers. Doesn't it seem unrealistic to believe that pesticdes conveniently kill 'nasty' insects whilst leaving 'good insects' alone? You can read more about this on my page about insecticides and non-target insects. I NEVER use pesticides, yet I grow a variety of vegetables and fruits. I also understand that most insect species are beneficial. I have found I can get rid of aphids and many other so called-pests by using a blast of water. I encourage birds into the garden too, and have a small wild-life pond full of frogs. Also, I ignore wasps (yellow jackets), which I know eat many aphids that might otherwise gobble up my veg. Note that some bees will nest in lawns (causing no damage to the lawn itself), so why not decide to be relaxed about your lawn, and avoid using chemicals. Take a look at my page about lawns for bees, where there is lots of advice about how to make your lawn more bee-friendly. Water is helpful not just to bees, but also a range of wildlife. A small wildlife pond with a shallow area would be ideal, but failing that, a simple bird bath or tray of water with a few stones (to create shallow zones) can help. 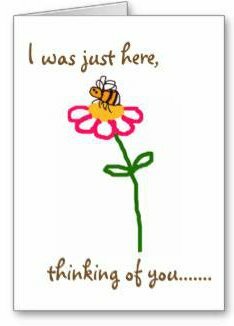 So you see, attracting bees into your garden need not be difficult, and there are possibilities even in problem zones and limited spaces. We simply need to make more of an effort to consider the bees and other wildlife, as we plan our gardens. Here are my top 10 tips to save the bees – why not share them with your friends and family? 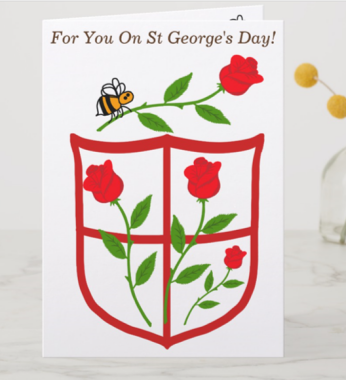 Why not write a letter to your local politician, asking them to support the creation of more wildflower habitats, pollinator corridors and even planting schemes that benefit bees and other pollinators. Go from Attracting Bees to my main introductory page, where there are links to lots of bee-related topics. Find out about bee lifecycles, or the answer to the question ‘How Long Do Bees Live’. Learn about the different types of bees and much more.